Branching out from its mother ship Kappo Izakaya, this charming little Japanese restaurant gave new life to the two-story shop it occupies. 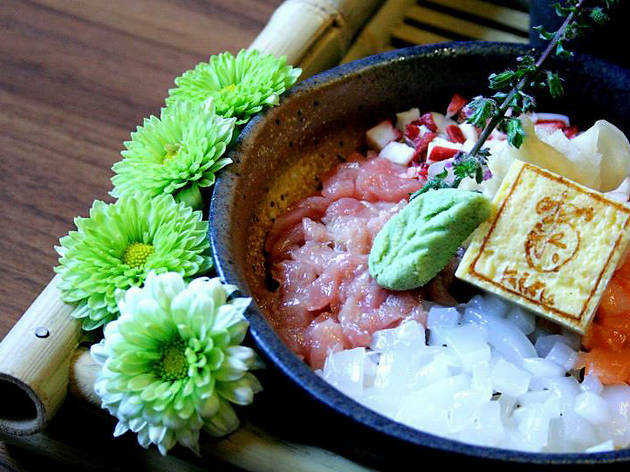 Established as an intimate bistro, Kappo comes from traditional Japanese cooking; cut, boil, stew, etc. 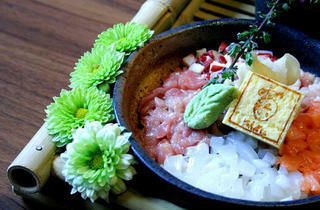 KiKu extended the cutting board for slicing Sashimi and making sushi, resulting in an all rounded menu. Inspired by the name Kiku, the chef invented a series of sushi and sashimi fresh off the streets of Tsukiji Market, Japan, to top it off the Blue Fin Tuna from Okinawa is also on the menu, serving different parts of tuna sashimi like Ootoro ($58), chutoro ($48) and maguro ($18). Best paired with sakes, Kiku has sakes in abundance, from various states in Japan to suited to your preference; from the driest, to the sweetest.